Since its invention in the early 1800s, the camera has become a time machine of sorts. It possesses the unique power of capturing a singular moment in time - forever freezing the subject exactly as it was at that instant. First seen as a "cultural finishing school" for privileged young British gentlemen, The Grand Tour of the 19th century included several months of European travel between the end of formal schooling and adulthood. The “Then” photos in this exhibit come from the St. Louis Public Library’s Archives which are housed in the Rare Books and Special Collections Department at Central Library. 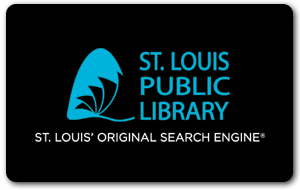 The Library’s records date back to the founding of the St. Louis Public School Library. This online exhibit will give you a "taste" of what is available in The Culinary Collection St. Louis Public Library. View a variety of cookbooks, recipes, and menus documenting the culinary history of St. Louis. The Great Cyclone remains the single deadliest incident in St. Louis history. The tornado cut a ten-mile swath of destruction that completely destroyed 311 buildings, heavily damaged 7,200 more and caused substantial harm to yet another 1,300. In a mere twenty minutes, 255 people were killed. December 9, 2012, marked the grand reopening of Central Library in downtown St. Louis after an extensive two-year renovation. Take a tour back in time and learn about Central Library's rich history that encompasses over 100 years. The Steedman Architectural Collection at the St. Louis Public Library is a small but remarkable library of influential and rare architectural publications. The St. Louis Public Library presents "Maps of Missouri" illustrating the many ways maps convey times, places, and events. Approximately 100 maps of Missouri cities, towns, counties and the state are included in the exhibit.